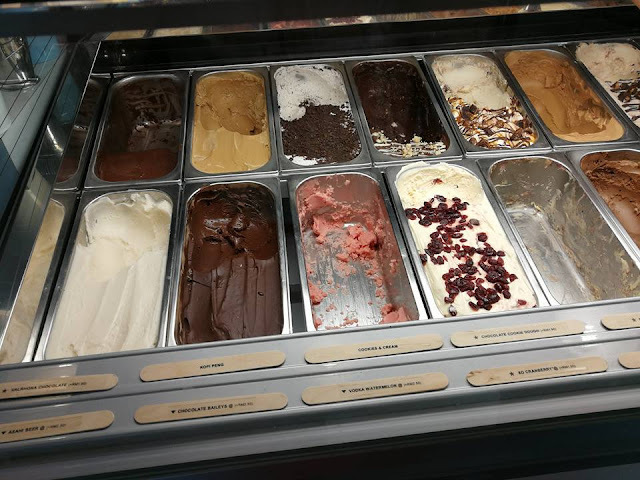 Yeah I am a happy girl this round, I finally visited my favorite ice cream place- The Ice Cream Bar. 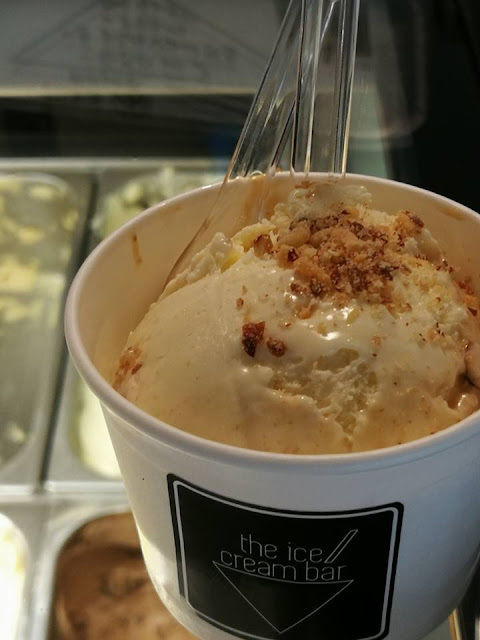 Another venture by the owner of Inside Scope, now you can have this alcaholic ice cream to keep you addicted and come back for more. 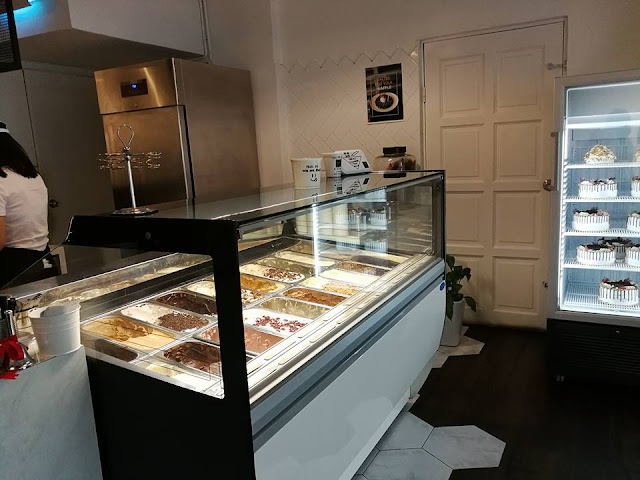 The Ice Cream Bar is located the same row as Chapter One and nearby to the Naughty Nuri They have quite a variety of ice cream such as dark chocolate with the smoked cognac, whisky ice cream and more. As being a big fans of Rum & Raisins, I have a good fix here. Yeah my rum and raisins ice cream is here. Yummz super fragrant with the alcaholic smell in it. 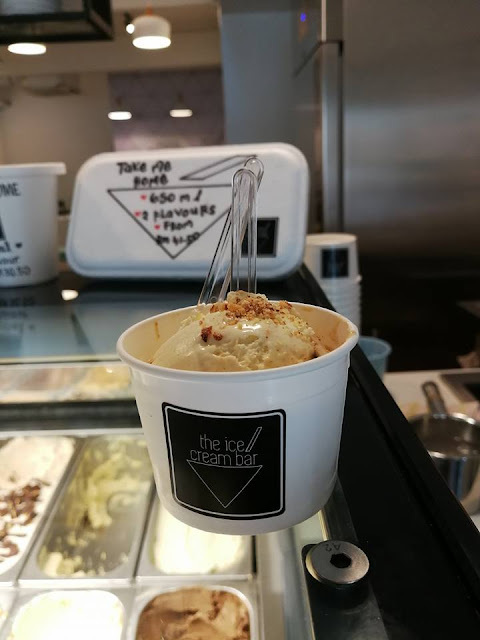 Most of the items in The Ice Cream Bar are considered Premium and Signature ice cream, so, there will be additional charges of +RM1.50 or +RM2.00 each scoop on top of the RM8 single scoop price / RM13.50 for double scoop / RM18.50 for triple scoop. If you are looking to grab their handmade cone just add RM 2.00 for it.